Sound Programmer & Improv Performer & Installation Artist. In collaboration with Ana Luisa Veloso. 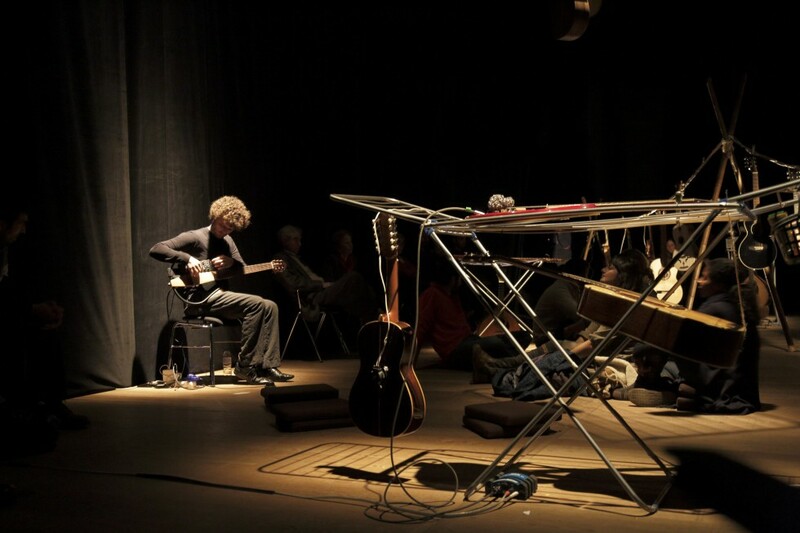 November 2014, Serralves Museum of Contemporary Art, Porto (PT). 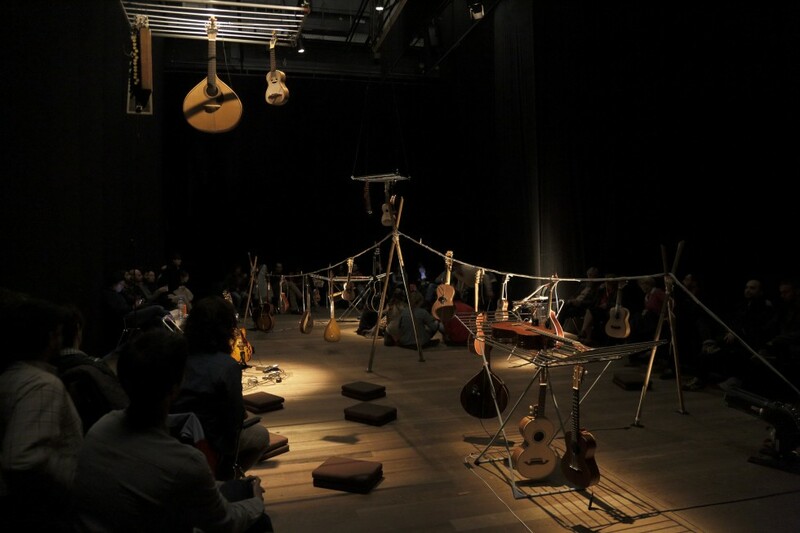 Using a set of guitars, two musicians/performers create an “ecosystem” that is developed from the relationships and interactions established by several initial sound and musical ideas. These ideas may arise from pre-recorded sounds (e.g. 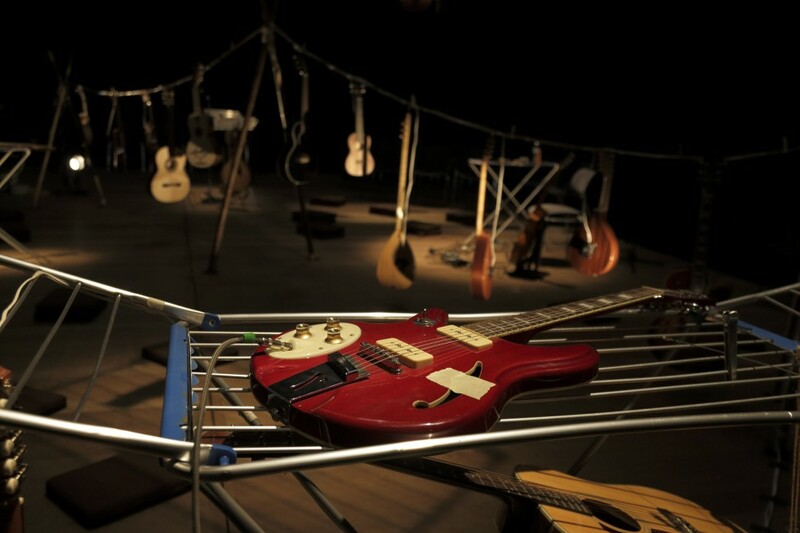 field recordings), or other devices that are deemed relevant at the time of composition. 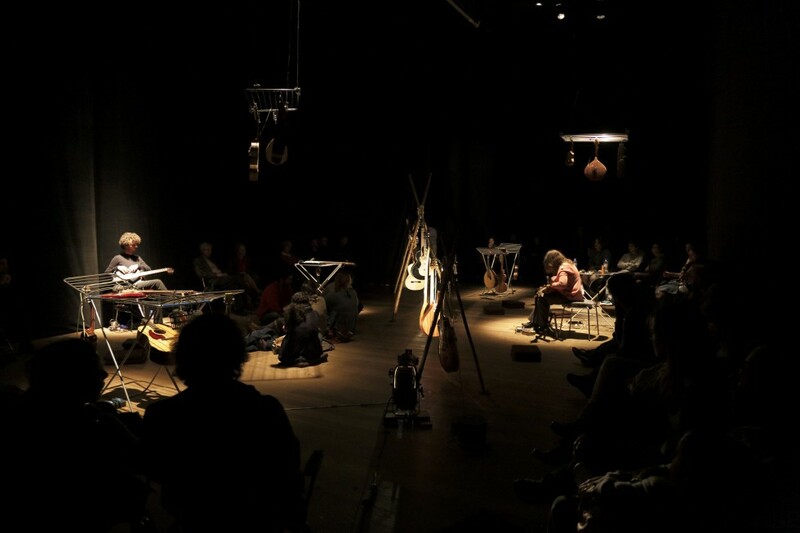 An attempt will be made to explore the idea of the system – where the factors of unpredictability and randomness are ever present. There is nonetheless a kind of balance, which exists regardless of the immense possible variables – so-called “organized chaos”. 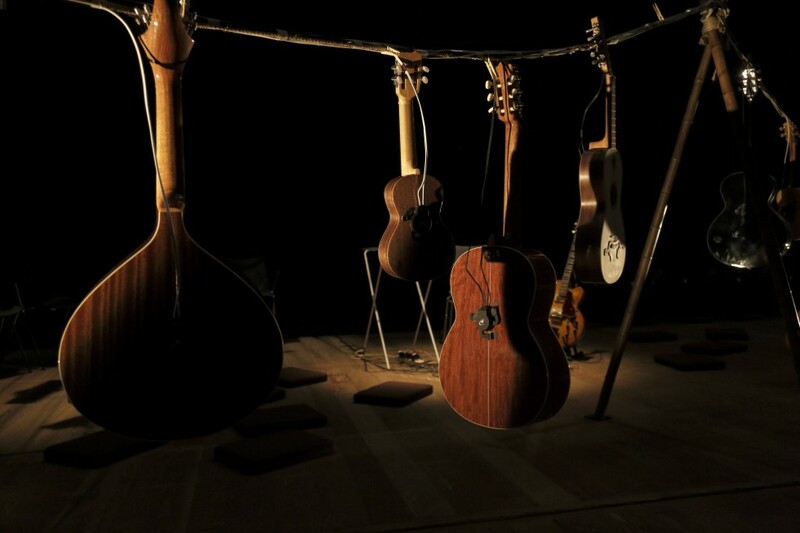 Using various amplifier devices placed in the guitars, the intention is that the guitars themselves, which are arranged differently in space and previously prepared, will act as loudspeakers, and thus the entire musical work will grow from the relationships of influence, interaction between musicians, instruments and the sound itself that emerges from this interaction.